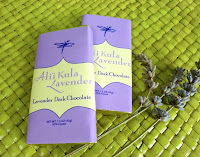 Ali'i Kula Lavender/The Lavender Farm, Inc.
Today was Day #6 of Chocolate and Hawaii Theme Week, and Day #1 of Chocolate and Lavender Theme Week. I had the privilege to visit the Ali'i Kula Lavender Farm in Kula, in the "up-country" -- on the slopes of Mount Haleakala, on the island of Maui, in Hawaii -- about a year and half ago. It was a beautiful place, and I remember sampling some chocolate gelato with lavender in their small shop during the visit. I made a mental note at the time to, at some point, plan a Chocolate and Lavender Theme Week for this site. So, many months later, this is it. 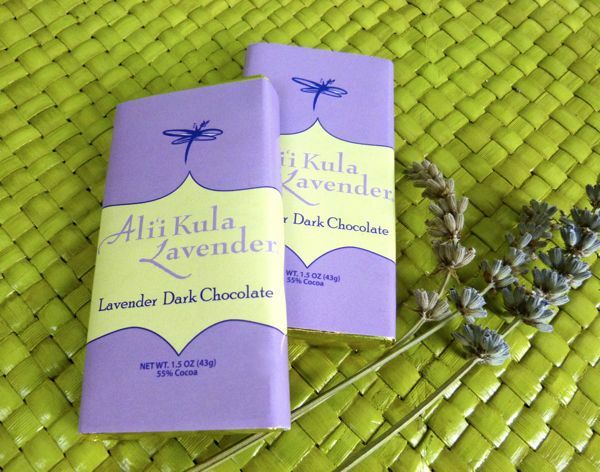 I'm happy to kick off this theme week by featuring the Lavender Dark Chocolate bar from Ali'i Kula Lavender (also known as AKL Maui, and The Lavender Farm, Inc.), Kula (Hawaii). 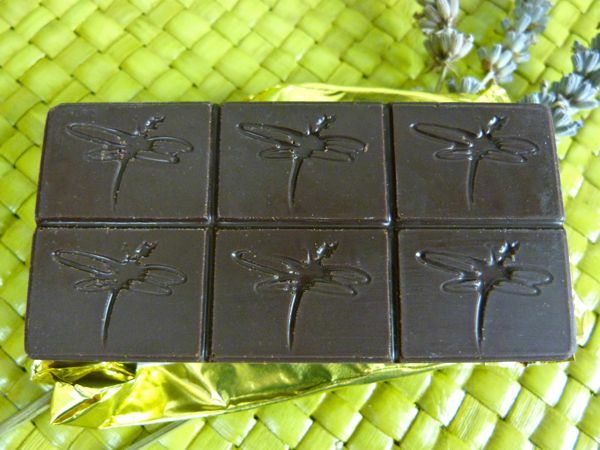 The 55% cocoa bar was infused with organic lavender oil. I could smell the lovely fresh lavender scent the moment I unwrapped the parchment lined gold foil wrapper. For someone who likes floral smells and tastes, as I do, this bar was a treat.